Receive 10% off all funeral home charges, if pre-paid. Payment plans are available. Your spouse may also receive the discount if they pre-arrange and pre-pay with you. We will also be happy to secure the Government Veteran Benefits you are entitled to (we will need a copy of your Discharge Papers). A Military Honor Service is available to all Veterans. We are the exclusive provider for Veterans & Family Memorial Care* and are committed to offering the highest level of service and quality affordable merchandise for our Veterans. Call Sherry Kent at 574-277-4444 or 574-654-3221 to receive your discount. The Kaniewski family is proud of our veterans and are happy to honor you in this way! 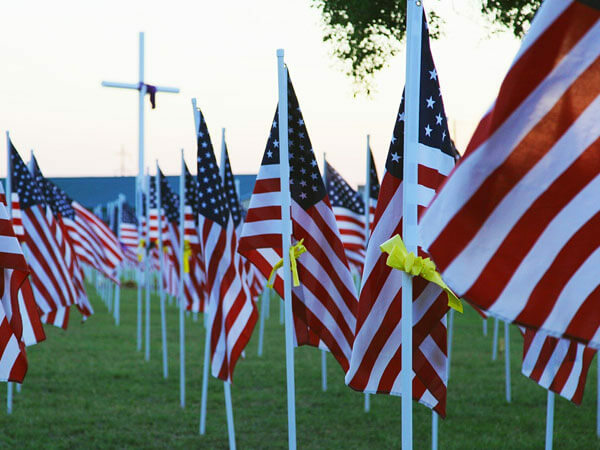 *Veterans & Family Memorial Care selects only family-owned and operated funeral homes. Our funeral home was chosen because we are leaders in our profession and are committed to providing dedicated, caring service while upholding the highest level of ethical business standards.